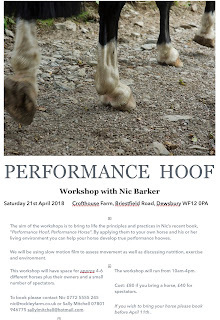 We've now got several Performance Hoof workshops scheduled and at the moment we have a few spaces at each, so if you are interested in bringing a horse or just coming to watch please get in touch: nic@rockleyfarm.co.uk. A diary of whats happening at Rockley, whether its news on rehab horses or on our own horses hunting and competing. 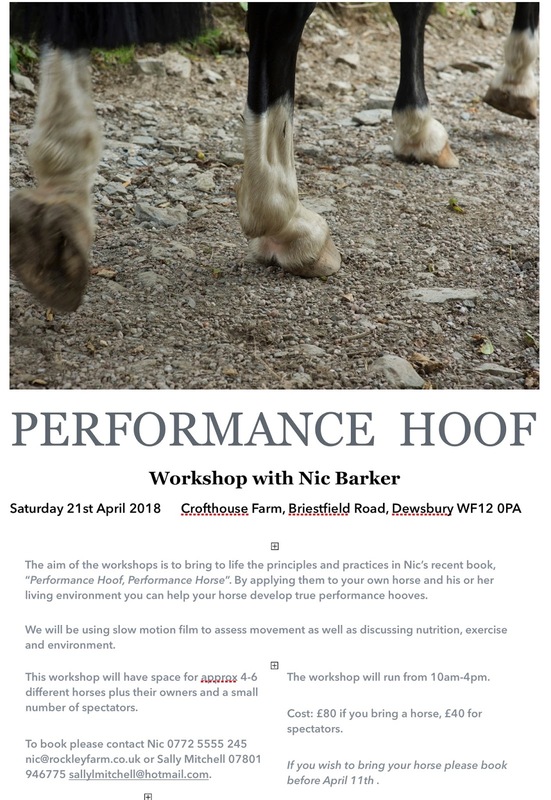 All the horses are barefoot, and the blog includes updates on hoof rehabilitation and information about barefoot performance. You can find out more about research, rehabilitation and our horses on the pages above or at our website: www.rockleyfarm.co.uk. Living in the dark ages? The self-trimming horse, reasons to trim and well-meaning "experts"